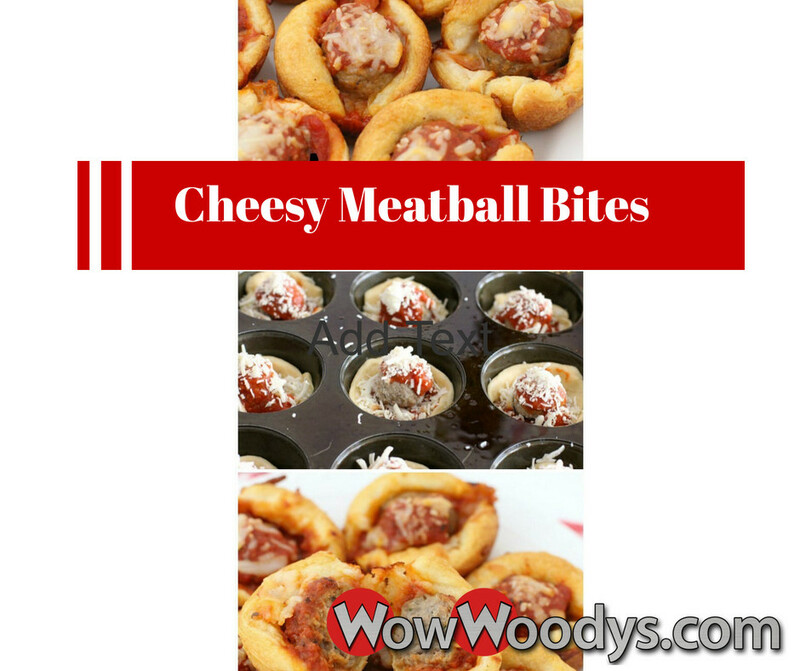 Cheesy Meatball Bites are a great game day or after school snack! Perfect for all ages, and easy to eat without a huge mess! Unroll crescent dough. Separate into 2 large sections along the perforated edge. Cut each of the 2 large sections into thirds, then divide those sections down the middle, so that you have 12 squares total. Spoon about 2 teaspoons of marinara sauce into the bottom of each cup. Follow with a small spoonful of mozzarella cheese. 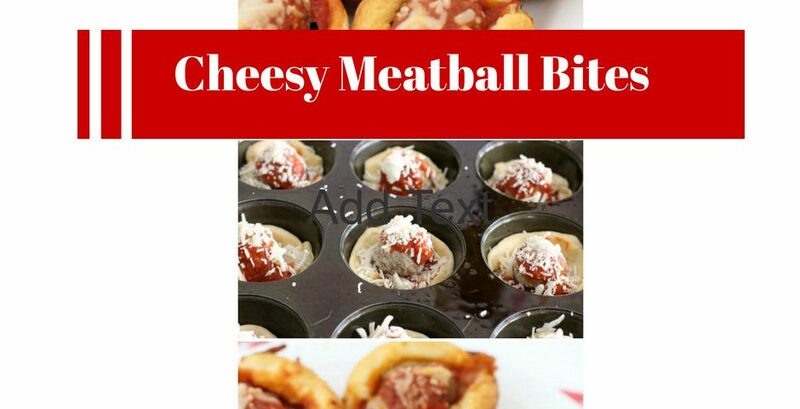 Place 1 meatball into the center of each cup. 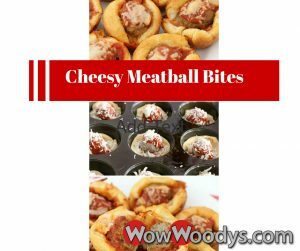 Spoon another 2 teaspoons of marinara sauce on top of the meatball, then finish with another sprinkling of mozzarella cheese.